England Lions skipper Sam Billings failed in both the innings scoring 9 and 5 runs respectively. As expected, the 1st unofficial Test between India A and England Lions panned out to be a draw. The Brits continued their batting in the second innings with an overnight score of 20/0. They still trailed the hosts’ score by 180 runs at the beginning of the day. Unless the bowlers pulled off something special, a draw was always on the cards. The English openers Max Holden and Ben Duckett survived for another 10 overs in the day before India A drew the first blood. Avesh Khan got the better of Ben Duckett first up with a beautiful delivery. KL Rahul, who was the fielder, didn’t make any mistake and pouched the catch comfortably. The left-hander was looking good with a quickfire 30 before he got out. Then, the off-spinner Jalaj Saxena trapped Holden as he ended up giving a catch to Abhimanyu Easwaran. However, after the openers fell, Sam Hain and Ollie Pope stitched together a brilliant partnership. This duo added 105 runs together before Shahbaz Nadeem showed the latter the way to the pavilion. 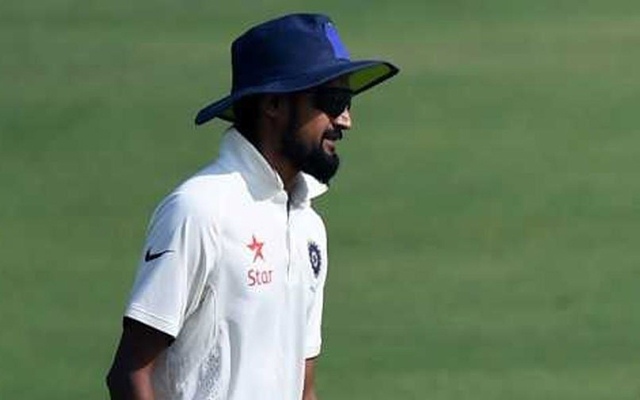 The batsman, after a well-made 63 ended up finding an edge off the left-arm spinner’s bowling and the wicket-keeper Srikar Bharat comfortably got hold of the ball. Soon, Nadeem also dismissed skipper Sam Billings for just 5 runs. Then, Hain was trapped by Saxena in front of the stumps LBW for 57 runs. Post this wicket, Steven Mullaney and Will Jacks ensured that no wickets fell further in the day. They played out the last few overs well as the match ended in a draw. Only 78 overs were bowled on the last day of play.